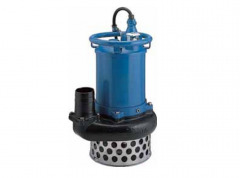 The Dragflow company created the new submersible slurry pump with a mill on a pump vsasa which allows to loosen effectively clay breeds of soil, and also to pull out and crush vegetation. 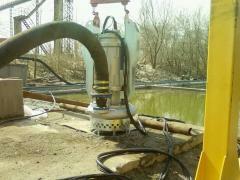 The pump and mill are put in action from oil station or the hydraulic excavator. 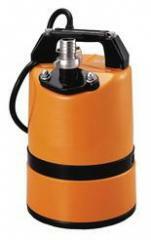 The submersible soil pumps Dragflow with a productivity from 30 - 3000 m3/h on a pulp. 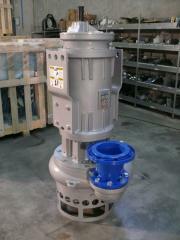 Working depth of pumps is up to 100 m. Range of transportation of a pulp from 100 - 3000 m. Pumps with the electric and hydraulic drive. 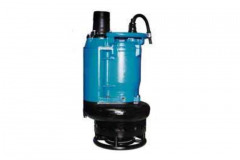 Unbelievable price on Pumps for industrial applications in Belaja tserkov (Ukraine) company Dragflow East Europe (Dragflov Vostochnaya Evropa), OOO. Wide choice of quality products at affordable prices.